Racket is one of the new additions to our family. She is one of four puppies from our first litter of Jacks. My 19-year old son is keeping her as his personal terrier. She is adorable, sweet and smart, watching TV, snuggling with her boy, and fighting awesome battles with her brother. 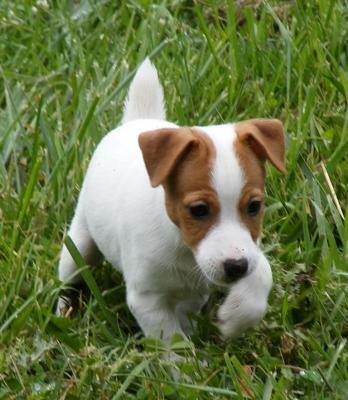 Each of the four people in our family now has a Jack Russell companion. Racket is the smallest and sweetest of the bunch.